Edison Dardar, an American Indian, tosses a cast net for shrimp on the edge of Pointe- aux-Chenes wildlife management area, in Isle de Jean Charles, La., Friday, Sept. 23, 2011. Communities in Florida may have to someday relocate because of rising seas and risks from hurricanes. That's already beginning to take place in parts of coastal Louisiana. SCHLEIFSTEIN: Isle de Jean Charles is a Native American Indian village, and that community had been leaving for a while prior to Katrina and the hurricanes that occurred after Katrina that affected them. That portion of coast where they lived has been eroding much more rapidly; those wetlands have been disappearing. And the people there now live literally along a road, and on both sides of the road, there’s water. So the state and the federal government made the decision that a levee system being built in the same would not go far enough south to protect that community. Because there just weren’t enough people living down there to make it financially feasible. WLRN: Tell me a little more about the process of getting residents of Isle de Jean Charles on board with this relocation. The state has been able to get a federal grant, and gotten agreement, finally, from the vast majority of people who live down there, and they’ll create a new village for them to live in -- farther away from the potential for flooding. We’re talking about people who make their living off of fishing. But we’re also talking about a large elderly population, as well, that just don’t want to leave. They don’t want to leave their culture, they don’t want to leave their graveyards, and the location that they’re going to is, you know, 20, 30, 40 miles away. So between the coastal restoration projects and the upgrades to the levee system, what’s your thought now on how prepared coastal Louisiana and New Orleans are for the next big hurricane? 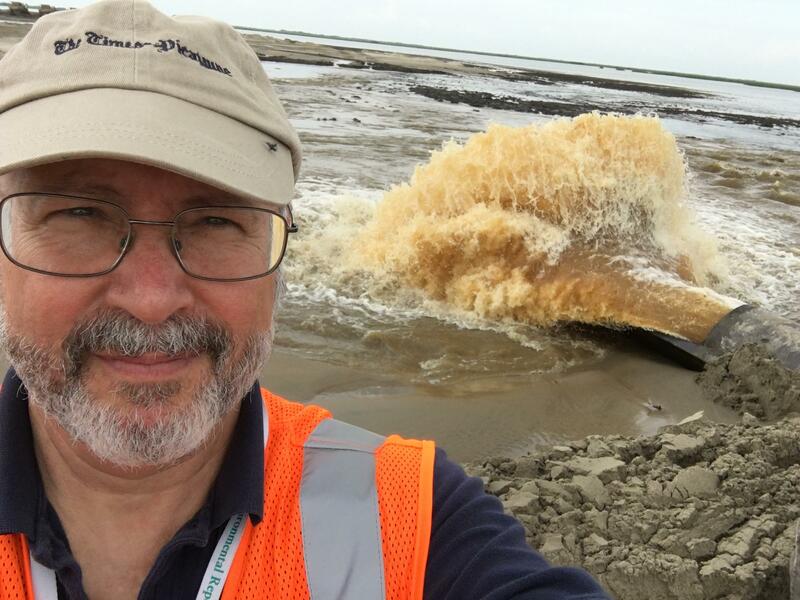 In the New Orleans area, we have a brand-new levee system that was built after Katrina to new standards of what kinds of hurricanes can occur in the Gulf of Mexico, taking into account climate change and the potential that over time hurricanes will become more intense. People may have been provided with money to also elevate some homes to reduce the damage that occurs. So, the city of New Orleans proper is prepared for a category one and probably a category two hurricane. Just a category one or a category two, in your estimation? Well, yeah. What they’re expecting is five feet of floodwaters inside the city, as opposed to 15 to 20 feet. And what that really means is, you know, worse than street flooding, but not devastating. So that's for inside the levee system. But there are lots of areas outside the levee system, and I’m sorry, but all bets are off on them. On the spectrum of preparedness for sea-level rise and having experience dealing with the rising sea and the accompanying threats, where does Miami fall? NOLA is protectable for 50 years, and we’ve been working on it a heck of a lot longer than Miami has. When NOLA was built, Bienville [explorer Jean-Baptiste Le Moyne de Bienville] decided to place the city at the crescent of Mississippi River because it was the closest place that was defensible. At that time it was defensible against the Spanish and the English; today it’s the closest place that’s defensible against storm surge. And it’s inland. Well, at least it is today. But Miami wasn’t built that way. Flagler [entrepreneur Henry Flagler] built a railroad all the way down to Miami and, you know, did it as a way of getting people to live there and make money off it. And Miami Beach, it’s -- there are no wetlands in front of Miami Beach. They’re long gone. You know, you don’t have any flood walls or levees. I mean, we have a few seawalls, but nothing like the levee system New Orleans has, because it just wouldn’t be effective. We have sand and clay, but it’s more solid. Water doesn’t have the ability of coming through. It’s not a place water is coming in. You know, the reality is that our nation is going to have to look at our coastal communities -- half our population now lives on coastlines -- and recognize that where we have placed people is in danger. And we need to recognize what that risk is and start determining where we’re were able to do things to protect those communities and where communities are going to have to move. This interview has been condensed and edited for clarity. It's part of the Invading Sea, a collaboration among WLRN and the editorial boards of the Miami Herald, the South Florida Sun-Sentinel and the Palm Beach Post. Find more information at theinvadingsea.com. According to the National Hurricane Center, Michael was the strongest hurricane to make landfall in the continental U.S. since Hurricane Andrew in 1992. 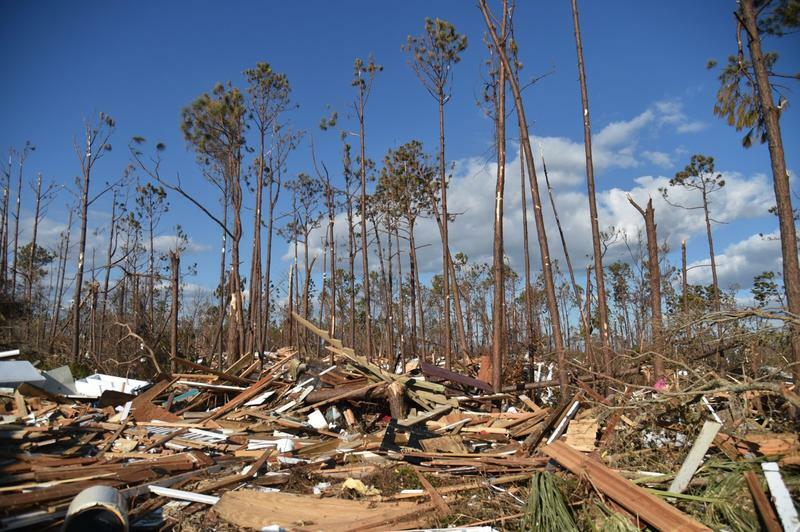 President Trump is visiting the Florida Panhandle on Monday to survey the damage caused by Hurricane Michael last week. The small town of Mexico Beach was among the hardest hit. Here & Now‘s Robin Young speaks with Charles Smith, owner of the Gulf View Motel in Mexico Beach, about the damage.